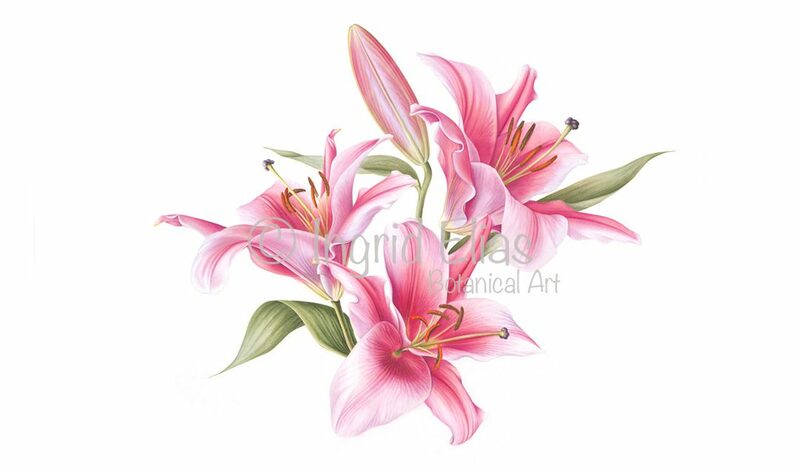 As a botanical artist Ingrid Elias paints with the aim to display the subject true to nature. She does not paint just what she sees, but what she want you to see. The whole process is challenging, but joyful, and often she looses herself in her concentration and experiences it as a meditative process after which she sometimes surprises herself with the result.